Palladium Hotel, situated in the heart of Central Mumbai, is known for its trendy restaurants and luxurious branded stores. But that isn’t all. Now, the opening of The Salon by JCB on the hotel’s Wellness Floor promises luxurious hair and beauty treatments from head to toe. 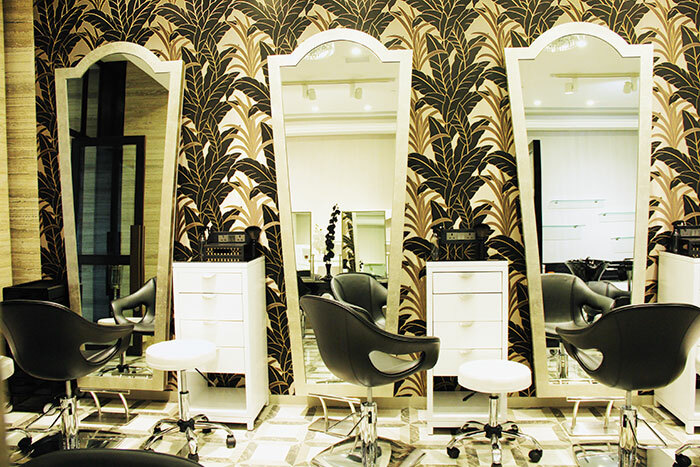 With its pristine white walls and monochrome décor, the salon maintains a classy vibe. The parlour, which has partnered with the premium French chain, Jean-Claude Biguine Salon & Spa, offers top-notch services due to the latter’s legacy of 25 years in hairstyling. As I enter, I am taken in by the peaceful aura of the surroundings. A therapist smilingly leads me into the treatment room and, after a quick consultation, suggests the Thalgo Source Marine Ritual, a facial treatment for dehydrated skin. Thalgo products, made from marine ingredients, are used in various beauty rejuvenation and anti-ageing therapies. My facial starts with an energising spray and a Welcome Touch Massage. The soft music playing in the background and the fragrant smells enveloping the room, along with the calming massage, immediately send me into a nirvana-like state. The 60-minute facial ends with the application of an ultra-hydrating marine mask. I instantly feel refreshed, and without even glancing into the mirror, know that I have radiant skin. Next up for treatment are my feet, and the pedicurist recommends The Margaret Dabbs Total Pedicure. These treatments are exclusive to the salon, and are known to create a perfect sole while addressing the foot in its entirety. The unique aspect of this pedicure is that it is performed on dry feet, for long-lasting results. As I have never had a ‘waterless’ pedicure before, I sit engrossed as she works her magic on my feet. Various Margaret Dabbs products, including a rejuvenating anti-fungal, anti-wrinkle cream; a pumice scrub; an exfoliating foot mousse; and a foot lotion are used in the treatment. The pedicure ends with a hydrating foot soak that I’m told relieves tension and stress from the feet. As a final touch, the pedicurist applies a golden shimmer on my feet, and I leave the salon with a smile on my face, and feet that are literally shining!